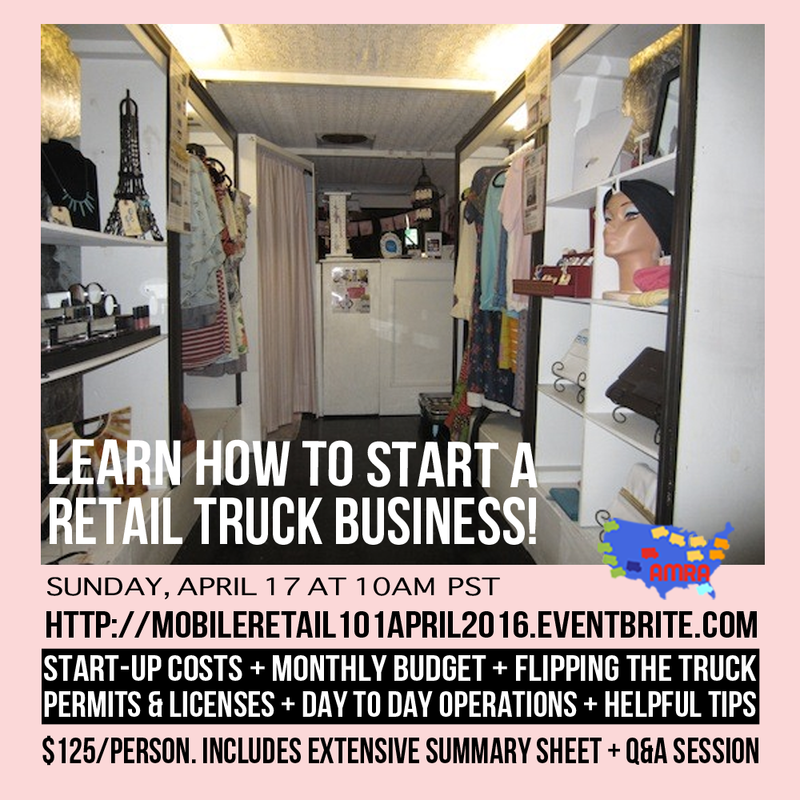 "How to Launch Your Own Mobile Retail Business"
Hosted by Stacey Jischke-Steffe & Jeanine Romo, the creators of Los Angeles' original mobile boutique Le Fashion Truck, this 2.5-hour webinar is designed to give you the basics of what you'll need to know to open your own store on wheels. 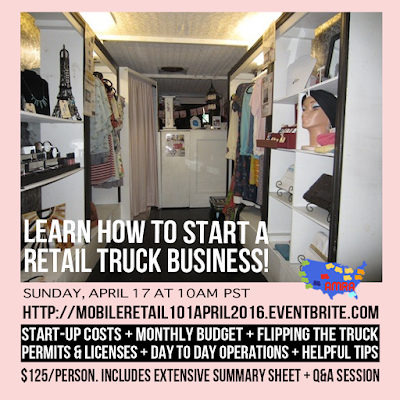 Topics include start-up costs, monthly budget averages, converting the interior and exterior, how to find the truck, an overview on various point of sale systems, social media & helpful tips. Includes a 30-minute Q&A session and a summary guide. Click here to sign up. Please note this service is only available as a live webinar until further notice. Don't forget about our online sale! Take 25% off the entire store with promo code SHOP 2016 + free shipping in the U.S!